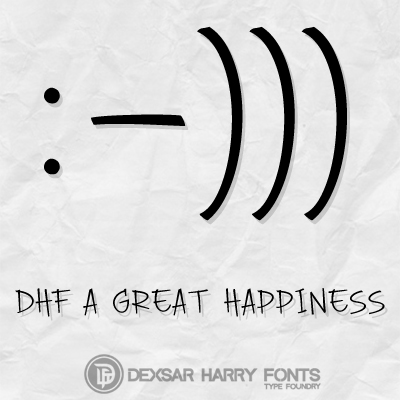 DHF A Great Happiness font is decorative font which is designed by Dexsar Harry Anugrah. This font is labeled as Various font. DHF A Great Happiness font family has 1 variant. DHF A Great Happiness LICENSE: Personal Use ONLY! Full font have 300 Glyphs or more. OTF & TTF are also Available... 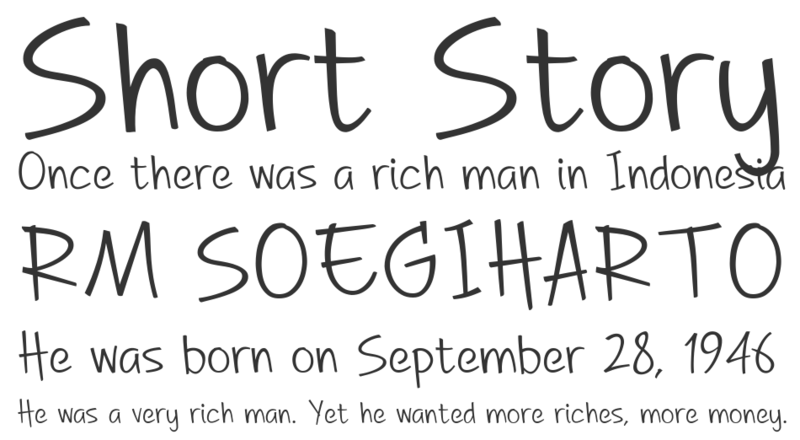 Donate me under Download Button if like this font, Any Donation Always Appreciate! COMMERCIAL USE & Full Character include (Kerning, Ligatures, Math Simbol, Alternate) Feel free to contact me before, Like my Facebook Page → http://www.facebook.com/dexsarharryfonts Thanks! DHF A Great Happiness font is one of DHF A Great Happiness font variant which has Regular style. This font come in ttf format and support 178 glyphs. Based on font metric, DHF A Great Happiness Regular has usweight 400, width 5, and italic angle 0. This font is labeled as .